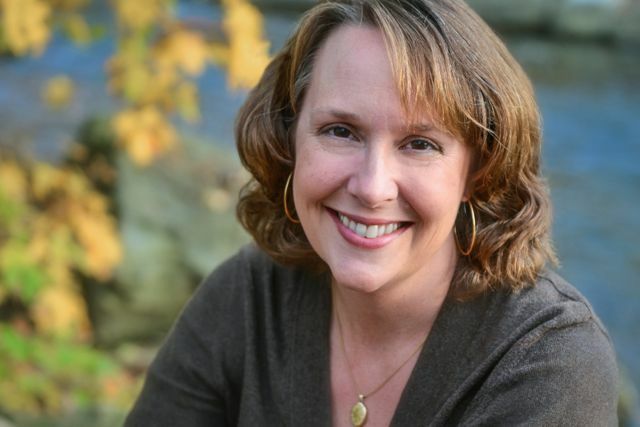 Rebecca Hirsch is the author of more than twenty books for children, including Arctic Tern Migration, a Junior Library Guild Selection. Her writing has appeared in Spider, Odyssey, Today’s Science, and more. She was awarded the Anna Cross Giblin Award for nonfiction from the Society of Children’s Book Writers and Illustrators. She lives with her husband and three children in State College, Pennsylvania. Q: Describe a highlight for you personally while you were writing this book. A: I was approached by Red Line Editorial, a book packager I had worked with in the past, to write some titles for a new animal migrations series. I knew right away I wanted to write the Monarch book. I love Monarchs. I enjoy spotting them when they are heading south to Mexico in August and September, and I look forward to their return to my garden the following summer. 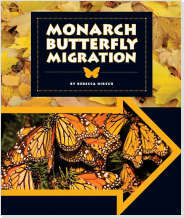 I ended up writing six books for the series, but Monarch Migration was the first. At the time my kids and I were volunteering at a butterfly garden, so working with the butterflies while writing about them was a special experience. Q: What is your favorite genre to write in at this point of your career? A: My favorite genre is science and nature nonfiction, and my favorite audience is upper elementary through middle grade. There’s something about writing for kids of this age that I find really appealing — they have a strong sense of curiosity about their world. They are fascinated by the same kinds of things I am. Q: Describe the journey you’ve taken as a writer. A: Before I became a writer, I had trained and worked as a biologist. After I quit my job to stay home and raise my kids, I decided to try freelance writing. At first I thought I would write magazine articles for adults, because I was reading books about freelance writing, and all the books tell you how to write magazine articles for adults. I did try writing for adults, and it was okay. Then I got the chance to write for kids. My first assignment was writing tests. I could tell right away that this kind of writing came naturally to me. I decided to specialize in it. I made a website and called myself a science education writer. For the next few years, I got assignments writing tests and textbook ancillaries, which are the workbooks and other materials that supplement textbooks. I gradually got better and better assignments and before long I was asked to write an entire middle school workbook devoted to environmental issues. The book didn’t have my name on it, but it was my first complete book, and it was so much fun to write. I decided to try and steer my career toward book writing. By that time I was getting more offers for freelance work than I could take, so I started to be more selective, saying no to textbook writing and saying yes to book writing when it came along. And that’s how I got started. To date, I’ve written over twenty books in the educational market, all of them under work-for-hire contracts, which means I get paid in one lump sum with no royalties. It’s been a lot of fun and a great learning experience. Now I’m trying to get published in the trade market, and that’s been a fun challenge as well. Q: What is one word of advice you received as a writer that you would like to share with others? A: My husband has been a terrific mentor to me. He makes his living as a freelance musician, music teacher, and composer, and he gave me some excellent advice early on. He advised me to concentrate on doing my best work on the project that was right in front of me. Don’t worry if the pay isn’t that great. Don’t worry if it’s not the most exciting assignment, or it’s not the kind of work you want to be doing in the long run. Just do a really good job on this project. Follow the guidelines to the letter. Don’t complain. Turn everything in on time. Do it all with a smile. Do that, he promised, and more and better work will follow. Well, that was terrific advice. I’ve tried to do that on every project. I’m sure sometimes I’ve failed, but most of my clients seem happy with my work, and nearly all of my assignments have been from repeat customers. Many people think that success in writing is all about talent. Talent is only part of it. Hard work, a cheerful attitude, and professionalism count for an awful lot. Congrats on your latest book, Rebecca. I’ve just gotten a toehold in the educational writing market, and must admit it’s a lot of fun. Thanks for the advice. Thanks, Nancy, for a really fun interview. And congrats to you, too, Kirsten, for gettting started in educational writing. 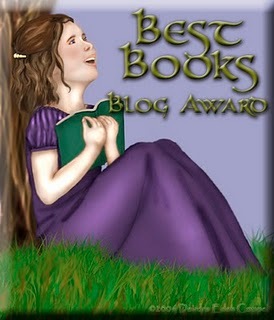 Rebecca, THANK YOU for being here on my blog today! I own and love your monarch book and it was such a joy learning more about you and the story behind the story!!!! Thanks, Nancy. And may I say that I own your first book for writers (Yes! You Can…). I love it, refer to it often, and recommend it highly to new and experienced children’s writers alike! Rebecca, I treasure your words! Thanks for the encouragement!!!!! Hi Rebecca! I’ve ‘seen’ you around in the internet children’s NF writing circles and am glad to hear more about your background and experiences. Congratulations on all your successes! Sounds like your migration series is a wonderful one. Hi Evelyn. I’ve ‘seen’ you around too and I love your list of educational markets for children. What a wonderful service to the community. What GREAT advice about doing your very best work on what is in front of you at the moment. Faithful in the little things! I truly do believe that hard work and doing our very best will result in more good things. Plus, it’s all about focus as well. When I look too far ahead to future writing projects, I get distracted by those instead of concentrating on what I need to be doing right NOW! I really enjoyed this interview, so thanks for sharing! I’m glad you found the advice helpful, Amy. Hard work and doing our best really does pay off — editors do notice! Like you, I also find it easy to be distracted by future projects. Weekly to do lists and monthly goal lists help a lot to keep me on track. Thanks, Rebecca (and to your husband) for sharing your experience. I’m glad to hear from a WFH writer who is positive about the work. Thanks, Pat. The comment below is meant for you. I guess I hit “reply” in the wrong space. WFH has been wonderful for me at this stage in my career. I feel like I’ve gotten a hands-on education in how to write children’s books while getting paid. And congrats on your doughnut book with HMH! What a terrific topic! I’m eager to read it when it comes out. Wonderful advice for all writers. It was interesting to read about Rebecca’s journey as a writer. Thanks for great post. I’m lucky enough to be in a writing critique group with Rebecca. She is the best. She is honest and thoughtful in all of the feedback she gives. Just a great person. Awww, thanks Paul! You’re pretty terrific yourself! nice interview, Rebecca! I appreciate your candor and words of advice.